The countdown to Christmas has begun which means it’s a busy time in the kitchens here at Caroline’s Cakes. 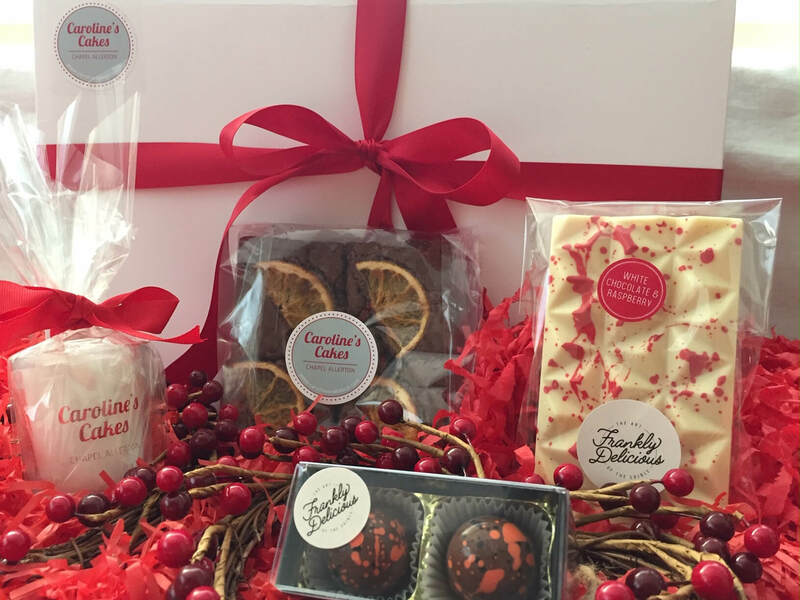 This year, we’re excited to announce that we’re collaborating with two other Yorkshire businesses: The Harrogate Candle Company, and Leeds-based chocolatier Frankly Delicious to bring you The Three Cs: cake, candles and chocolate. We’re combining these decadent delights in custom-made gift boxes to create the perfect Christmas present. The Three Cs are available in different gift boxes, individually wrapped and packaged by hand. Three price categories are available – Silver, Gold and Platinum – each designed to suit varied budgets and tastes. 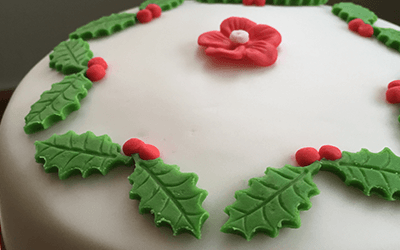 It wouldn’t be Christmas at Caroline’s Cakes without a delicious celebratory cake. Our beautifully-rich Christmas cakes are packed with mouth-watering seasonal flavours, covered in marzipan and topped with fondant icing and hand-crafted decoration. We also have our ever-popular Christmas-themed cupcakes, with festive icing and a variety of flavours for all the family to enjoy. 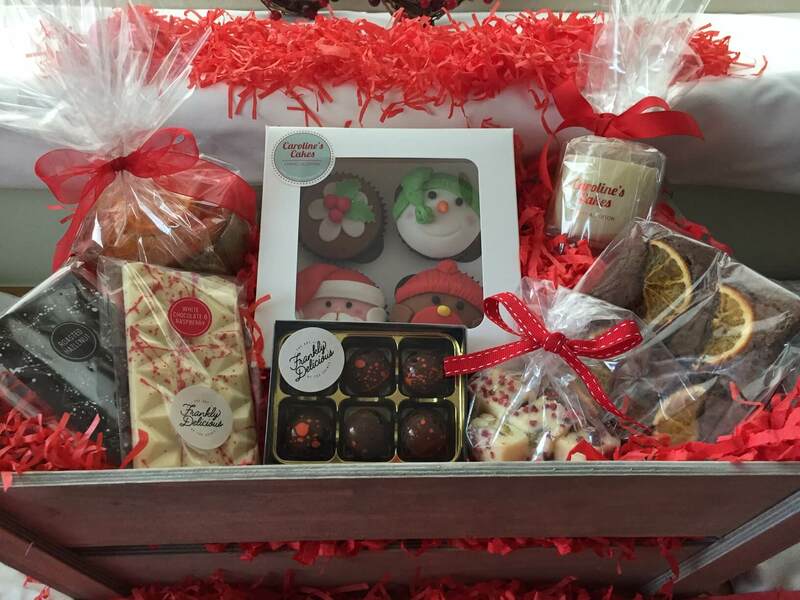 Whether you’re looking for unique, corporate gifts from the heart of Yorkshire, cake to share with loved ones, or a home-baked gift to say ‘thank you’ this Christmas, at Caroline’s Cakes we have the treats to tempt you. 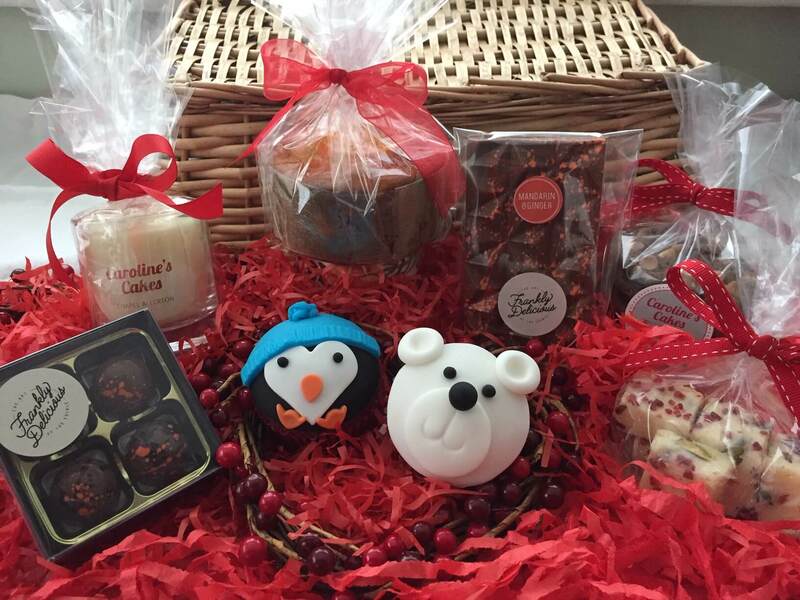 Each individual gift box contains an indulgent selection of festive treats to appeal to the senses. A 20cl aromatic cinnamon and orange candle. 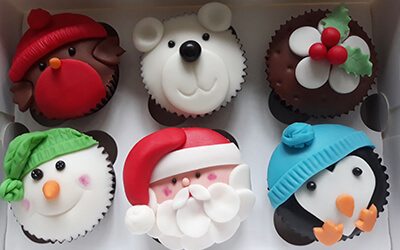 Who could resist these gorgeous Christmas cupcakes? Individually iced in seasonal colours with festive decoration, our delicious, fun cupcakes are available in a range of popular flavours: vanilla, chocolate, lemon, red velvet, and chocolate orange. A rich, traditional Christmas cake, available in two sizes. Our renowned cakes are packed with fruit, infused with brandy, covered in marzipan, coated in white fondant icing and finished with hand-crafted seasonal decoration.